For 4 years, the MOM seems to have totally forgotten about Mr Asad Madber. Andrew Loh. Bangladeshi worker asked by Manpower Ministry to remain in S’pore to help with investigations ends up waiting for four years. The number of foreign workers who faced salary disputes with their employers rose to more than 3,000 in 2008. This is doubled that of 2007. In 2009, the number of such disputes has continued. The press has reported instances of workers, sometimes in their hundreds, protesting outside the Manpower Ministry building, such as this one reported April 2009. In such cases and where necessary, the Ministry of Manpower would issue a Special Pass to the workers, until the disputes are resolved. For one Bangladeshi worker, however, that “short period” turned out to be four years. Mr Asad Madber Yeaz Uddin Madber, 38, first came to Singapore in December 2001. His employer, Skilled Engineering, had outsourced him to various other companies. In such cases, which are illegal, the receiving company would pay his salary to his employer, instead of paying it to Mr Asad. All was well until 2005. 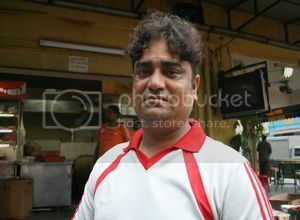 Mr Asad tells The Online Citizen that he wanted to return to Bangladesh then but his employer refused to let him go. His employer, according to Mr Asad, then started to deduct his salary “for food, shelter and other stuff” and finally stopped paying him altogether. Mr Asad was owed one and a half month’s worth of salary. He then took his salary claims to the Manpower Ministry, and also complained that his employer had illegally outsourced him to other employers. This is where things become unclear. Mr Asad says that the MOM arranged three mediation sessions in 2005 between him and his employer but his employer failed to turn up for all three meetings. Later, he was asked to remain in Singapore to help in investigations. Since his work permit had expired, he was given a Special Pass. The waiting game then began – and lasted the next four years. There were no further mediation sessions by the MOM in 2006, 2007, 2008 and 2009. All this while, Mr Asad did not know what was going on, neither was he updated by the MOM on any progress of his salary claims. In the Special Pass issued to him, the MOM reminded him: “Please note that you are not permitted to work unless you are holding a valid work pass.” Mr Asad did not have a work pass. The MOM, while retaining him and advising him he is not allowed to seek work, did not provide him with lodging or food or money in the four years from 2005 to 2009. MOM did, however, put him on the Temporary Job Scheme (TJS). The TJS is a scheme for workers awaiting settlement of disputes. It allows them to work for other employers on short term contracts in the meantime. Mr Asad says that the problem he faced was that the employers did not want to employ him because of his heavy-set physique. And so, in desperation, Mr Asad had to work odd jobs, risking arrest and deportation, or even jail and caning. All the while wondering what MOM wanted to retain him in Singapore for. He was asked to remain in Singapore for so long that even his passport had expired. When he applied to have it renewed, he was asked to pay $235 – money which he did not have. Now he had a new problem. Fortunately for him, with the help of an aid worker, his passport was renewed without Mr Asad having to pay the full $235. He however was still charged $35 for it. Each week for the last four years, Mr Asad has had to visit the Manpower Ministry to have his Special Pass renewed. He showed The Online Citizen a copy of the Pass with the “chops”. (See picture, below). Each time, his Special Pass was extended for seven days. On 15 September, again he went to the MOM. And again, MOM extended his Special Pass by another week. Mr Asad, who is married with two children, misses his family and wants to go back to Bangladesh to see them. Here in Singapore, he is living on the edge, with little money and risking arrest and jail time by working illegally to support himself. The Online Citizen enquired with the MOM to seek clarity on Mr Asad’s case. But after a week, and two emails, the MOM has yet to reply to our queries. His employer, Skilled Engineering, no longer exists. In the meantime, Mr Asad is a man in limbo – not knowing what he is here for and not getting any answers from the Ministry of Manpower. One issue raised in Mr Asad’s example is perhaps the MOM should realize that detaining workers such as Mr Asad here, without any help given to them, forces them to resort to illegal means to support themselves. Isn’t the MOM then complicit if these workers should resort to crime? If MOM should find it necessary to detain workers in order for them to help in investigations, it is only right that the MOM also provides them with lodging and support. For, as Mr Asad’s case has shown, such investigations can take years! Another question in Mr Asad’s case is: Why does it take four years to resolve a salary dispute? It is likely that the MOM has totally forgotten about Mr Asad, and Mr Asad has had to pay the price for the MOM’s incompetence. With the number of salary dispute cases rising each year, as reported by the press, it is incumbent upon the MOM that it gets its act together – so that such disputes are promptly settled and workers like Mr Asad are not made to wait needlessly for years. Come Tuesday, 22 September, Mr Asad will again have to visit the MOM to have his Special Pass renewed.